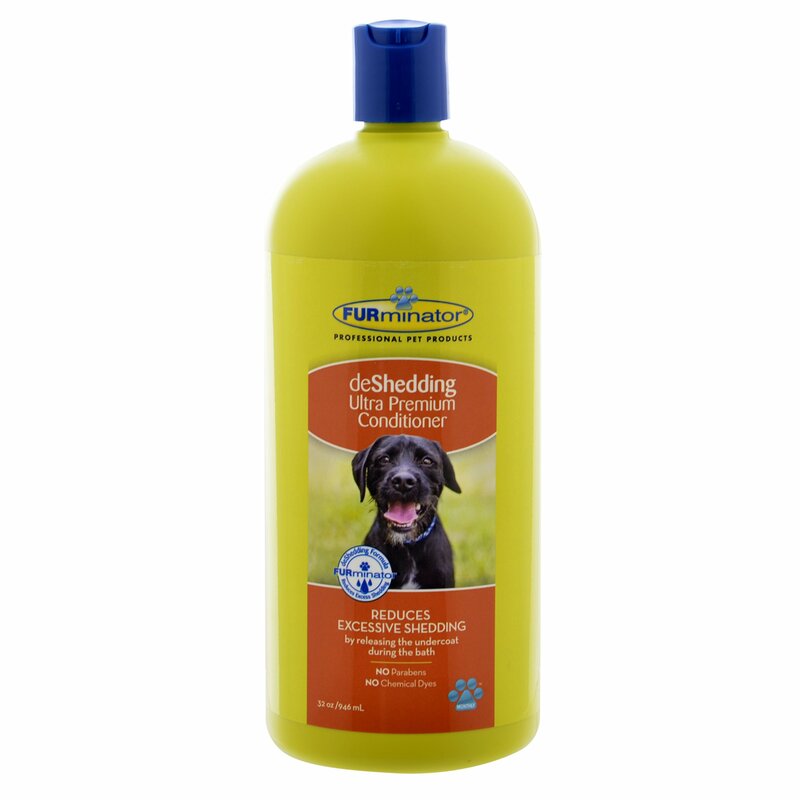 Size: 32-Ounce Furminator deShedding Ultra Premium Conditioner works to reduce excessshedding by releasing the undercoat during bathing. This gentle formulacontains no parabens or chemical dyes and is enriched with Omega 3 and 6 fattyacids, Chamomile Extract and Aloe Vera. Use monthly as part of the Furminatorat-home professional grooming regiment for best results.